Chevrolet redesigned its compact Cruze sedan a few years ago to make it more competitive and better position it in its segment. The end result was a modern-style car with two engines (a rarity in this segment) able to meet a variety of needs. Chevrolet subsequently introduced a new, more versatile hatchback version to offer even more options to compact vehicle buyers. Today, the Cruze is the only one in its segment to offer a diesel engine, and it is also one of the few to offer advanced technologies such as on-board Wi-Fi. The 2019 Chevrolet Cruze is indeed very powerful, and its engines are efficient. That said, the first thing that surprises owners about the Cruze is its level of connectivity. Technologies such as Android Auto and Apple CarPlay appear in the Cruze catalog just like Wi-Fi as mentioned above. No other car in this segment offers so much connectivity technology at this price. With the Cruze, you will always be connected. Under the hood, you get as standard a 1.4-liter turbo four-cylinder engine that develops 153 horsepower and 177 lb-ft of torque. If the power is greater than most Cruze rivals, the torque exceeds the competition. In addition, thanks to the magic of turbocharging, you get an engine that consumes less than 6.5 liters per 100 kilometers while being more powerful than the majority of its rivals. If that's not enough, you can opt for a diesel engine to further reduce your fuel bill. The Cruze diesel is indeed a car that surprises at this level with an average fuel consumption rating of less than 6.0 liters per 100 kilometers. Better yet, with the Cruze diesel, you get 240 pound-feet of torque under your right foot. In other words, you get a very efficient vehicle that also has more power than your average compact sedan. 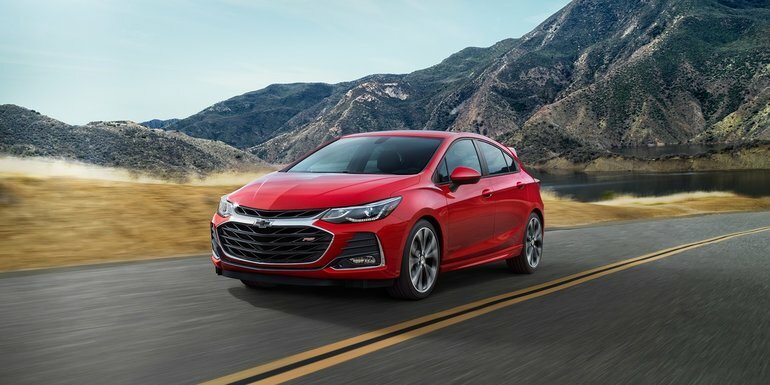 To learn more about the new 2019 Chevrolet Cruze, contact us today at Surgenor Barrhaven!